Our plastic business cards are printed by hand, combining novel materials with traditional manufacturing techniques. Our biodegradable translucent cards use plastic that allows light to pass through diffusely. This unique property allows for truly unique design elements such as watermarks or dual plane printing. The cards are printed by hand, one at a time, using traditional artisanal methods. This allows us to reproduce artwork with fine detail and pixel perfect registration. We have a broad range of beautiful metallic and pigment inks, ensuring your business card will stun prospective customers. 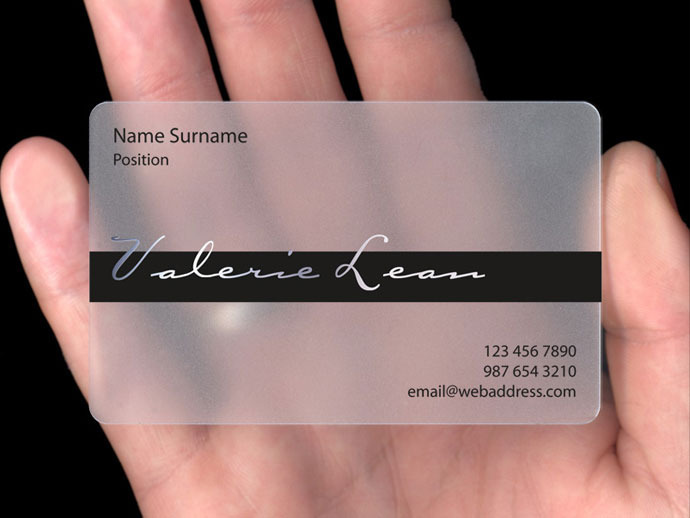 Our tinted translucent plastic business cards are created by chemically laminating a plastic colour gel with a layer of translucent polymer. The surface of the card has a matte texture helping to diffuse light beautifully as it passes through. One by one, our artisan hot foil printers apply each metallic or pigment ink to the cards surface using traditional methods. Fine detail? No problem. Precise registration? No problem. We take pride in producing your cards, ensuring you can take pride in handing them out. Our satin plastic business cards get their name from the refined matt texture of their surface. Produced using solid core polymer plastic, the unique nature of the materials surface empowers the designer to create contrasts of texture by applying glossy varnish to selected areas. We add the beautiful metallic inks by hand, one by one, using traditional artisanal techniques. The finished product is as unique as you and your business. 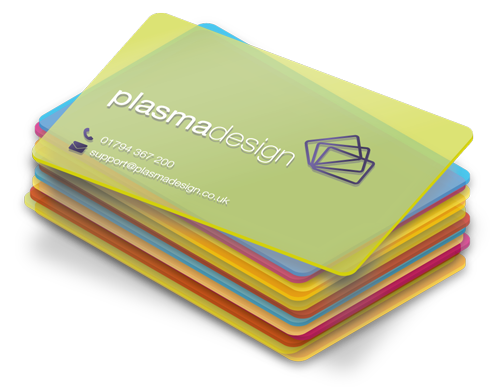 Our full colour plastic business cards are durable. Really durable. We encapsulate the digitally printed artwork between two thick sheets of crystal clear PVC. This protects the artwork against wear and tear and allows us to offer a choice of a glossy or matt surface texture as well as three different thicknesses. The artwork is printed in full colour on both sides as standard and, should it be required, we can personalise the cards with signature strips, numbering or even individual names.